The industrial zone of Carros-Le Broc has ranked first in the Alpes-Maritimes department, since the 1960s. This area of 200 hectares, situated on the right bank of the Var, includes over 600 (550 ? source investinca) companies, which generate 10 000 jobs (7500 emplois source investinca) and 1,2 Billion euros in revenue. Its diversified economic fabric is composed of artisan activities, industry services, and companies representing a wide range of activities, such as Virbac (animal health), Arkopharma (health), Schneider Electric (electronics), Cafés Malongo, Cari (BTP)… These industrial activities represent 36 % of Carros-Le-Broc overall business activities. 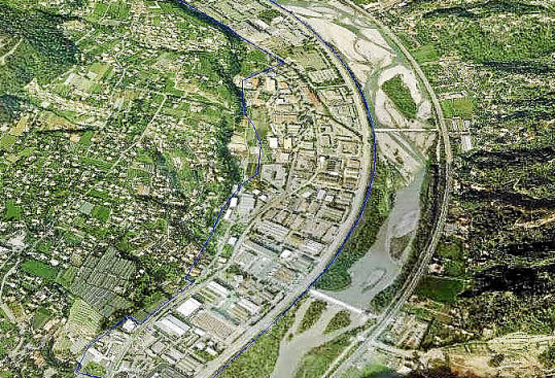 At the heart of the OIN Eco-Vallée, this industrial zone has already adopted several initiatives that have set it on the track of industrial ecology1. A project is underway for its extension to the North, in order to welcome large entities dedicated to renewable energies and environmental activities. These initiatives are led by the association Côte d’Azur Industries plaine du Var. The industrial zone of Saint Jeannet - Saint Estève, situated on the right bank of the Var between St Laurent du Var and Carros, includes 60 companies, totaling 500 jobs. The main sectors of activity are printing, public building and works, materials for consumer and local industry use. 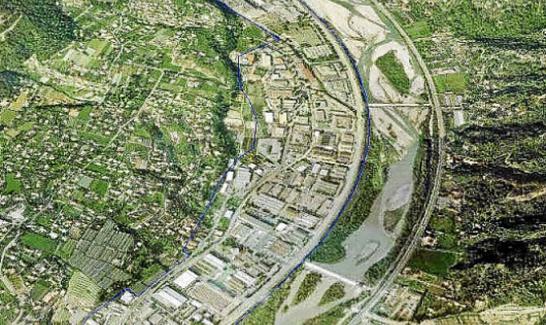 A development plan is currently under study, aiming to secure access to the zone, optimize waste management, and bring value to the areas left unattended. An exemplary activity zone is to be developed within the Roguez Valley, ideally situated at the heart of the Eco-Vallée. The goal is to provide the Métropole Nice Côte d’Azur with a new area for industrial and artisanal activity, for both existing local actors and newcomers. Located on the townships of Colomars and Castagniers, it will total some ten companies, representing approximately one hundred jobs. A lot of ambitions are linked to this site, which will set high standards in terms of its sustainable development efforts and the quality of its architecture.